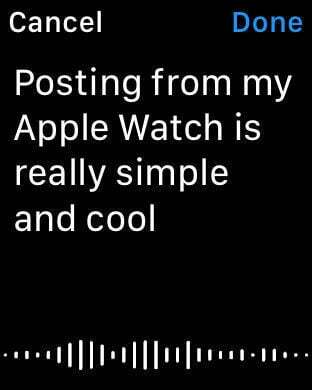 WatchStatus lets you post status update to Facebook from your shiny new Apple Watch! It has never been this easy to stay connected with friends and family. Simply setup your Facebook account on the iOS app and let the posting begin! With a simple and elegant design, you can use Dictation to speak your Facebook Status Updates! When you are done, the app will seamlessly post the update for you. You'll never have to pull out your phone again - or type for that matter. 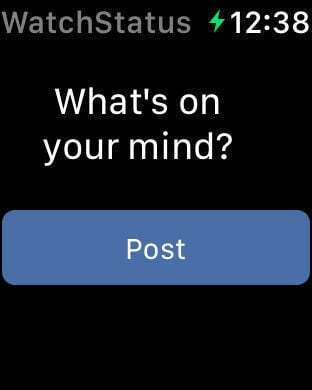 Get started with Facebook Status Updates form your wrist today. Note that this is a third party app that is not directly affiliated with Facebook Inc. WatchStatus is respectful of all user Privacy and 100% compliant with Facebook terms, as well as all other Party terms.